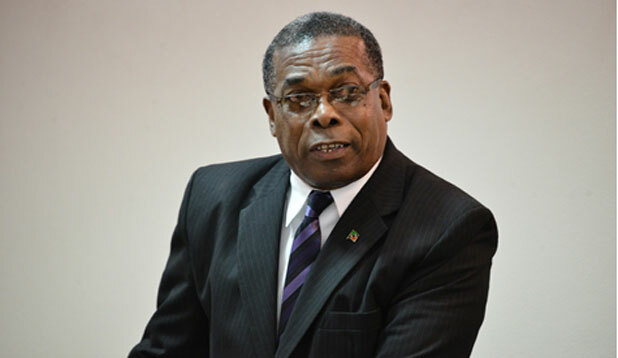 Basseterre, St. Kitts, May 13, 2016 (SKNIS): The surface exploration of St. Kitts moving towards geothermal energy is 80 percent underway, says Minister of Public Infrastructure, Honourable Ian Patches Liburd. Appearing on the weekly radio-television show, “Working for You” on Wednesday (May 11), the minister with responsibility for Energy, said the geophysicist, geochemist and geothermal geologist have been understudying the possibility of geothermal resource in St. Kitts. The minister stated that Nevis has in fact embarked upon the development of geothermal resource 12 years ago; in 2004, they were funded by the OAS amongst others. “Nevis has now signed a Power Purchase Agreement (PPA) through the assistance of the Department of State and other partners in the United States and we are in full support of that,” he said. The Minister addressed the issue of why geothermal energy is being pursued in St. Kitts while it has already been underway in Nevis. He urged persons to look at geothermal energy in terms of the long run in St. Kitts. “Development in St. Kitts will not stop and the notion will not put a road block in the progress of development in Nevis,” said the minister, adding that persons should look at long term goals of maintenance and energy security.